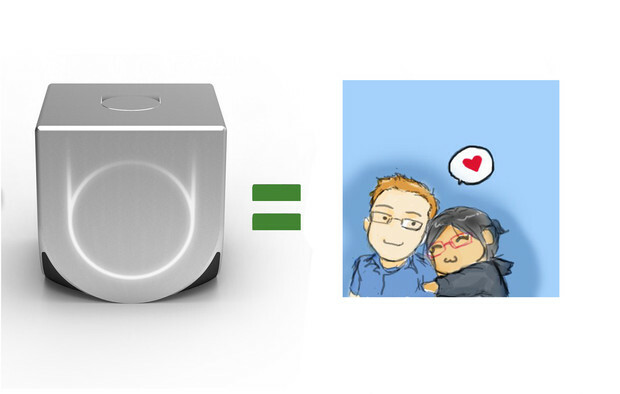 Community Blog by mikewa // OUYA: The Ultimate Girlfriend Game Machine? OUYA: The Ultimate Girlfriend Game Machine? If you enjoy games then I'm sure you want your significant other to do so as well. Playing together is fun. If you found someone already into games then great, but most gamers will admit that is the exception of relationships. What to do then if you want to play games with your girlfriend/boyfriend who doesn't really care about video games? So far party games like Rockband/Guitar Hero, or motion games for the wii have been the best answer to that question. Truth be told, those things get boring real quick and eventually end up just collect dust or even in the trash. For a while I gave up ever thinking my girlfriend would be into games. Then the Ouya came around. The Ouya is something that I was mildly interested in and wanted to buy back when it was on Kickstarter, but I didn't because of the wait time. Nor did I pick it up at launch after such negative feedback from reviews. Still at only $99, impulsively I couldn't pass up this strange little console when I saw it at Best Buy. And from my short experience I'd say give it another look. The core Ouya feature of "Free to try" games made for a quick, quirky and interesting gaming experience with my girlfriend. Being able to try every game has made it a breeze to find one we both enjoy playing. And with a catalog of short, offbeat, and fast paced games like Super Crate Box & "No Brakes Valet", the result was she instantly went fell in love with the silver little game box. One big hit with us was the game "American Dream." Its a strange, comedic combination of stock trading and interior decorating. Simple, engaging, and easy to lose hours trying to hit that American dream goal. So if you are looking for a sit down, tv gaming experience both of you can enjoy, look no further. The Ouya is here. Its not without its faults, but it makes up for them with tons of good fun, good games, and even more potential.